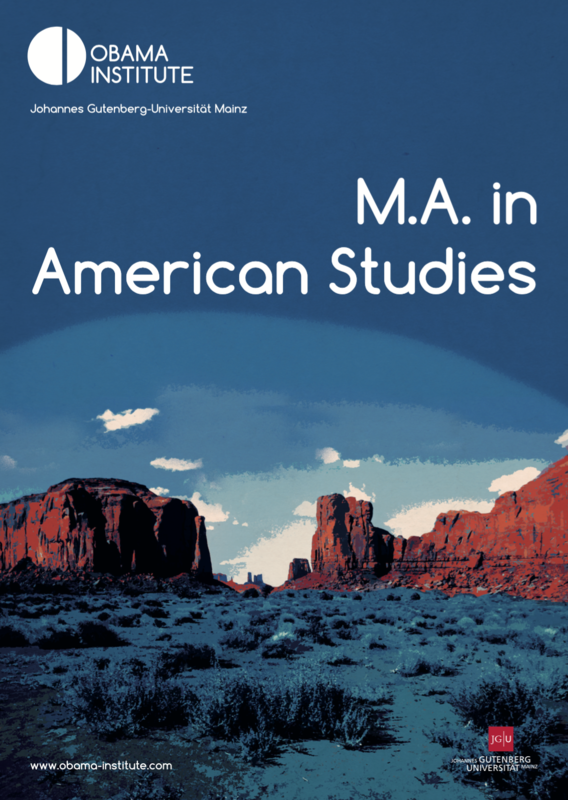 The American Studies Master’s Program is designed to emphasize research-oriented perspectives on American language, literature, culture and their theories. It builds upon the B.A. program in American Studies at Mainz University, but also welcomes applications of students from American Studies programs in Germany, Europe, and other parts of the world. American Studies has seen a number of major changes in theory and practice in the last decade. Its traditional emphasis on the language, literature and culture of the United States has been expanded both conceptually and methodologically. Reaching beyond the continental geographical focus of the United States, the more recent concept of Transnational American Studies includes new regions of language and literature, branching out into Atlantic, Caribbean, and Pacific Studies. The Mainz M.A. program responds to these new developments and encourages students to explore the transnational dimensions of American Studies. The program offers a broad spectrum of courses and conducts research on American literature and culture from the 16th to the 21st century with areas of specialization in comparative indigenous studies, early American studies, and transnational life writing. It maintains old-established exchange programs and international cooperation with North American, European, and Chinese universities. The program also includes a special module on interdisciplinary studies allowing students to expand their research into cognate fields for a broad-based perspective on the Americas. The M.A. program especially emphasizes the need for students to experience the United States at first hand and is committed to offering students the possibility of studying at one of our partner universities in the United States, Canada, or China. Based on students’ previous B.A. experience, modules 1-6 focus on cultural and literary studies in research-oriented courses. Students discuss methods, theories, and techniques of academic research. One of the central aims of the M.A. program is to introduce students to different forms of textual and cultural analysis and to involve them in currect research projects. In the second year, students engage in a larger guided research project that combines different historical, thematic, and methodological approaches. At the same time, the M.A. program enables students to further develop their own professional goals in orientation sessions geared towards a career outside or inside academia. Study abroad is recommended for the second year and highlights the importance of an international training program for students seeking a Master’s degree in American Studies.